Click the gallery to select it. Go to the Gallery Settings tab in the right sidebar. 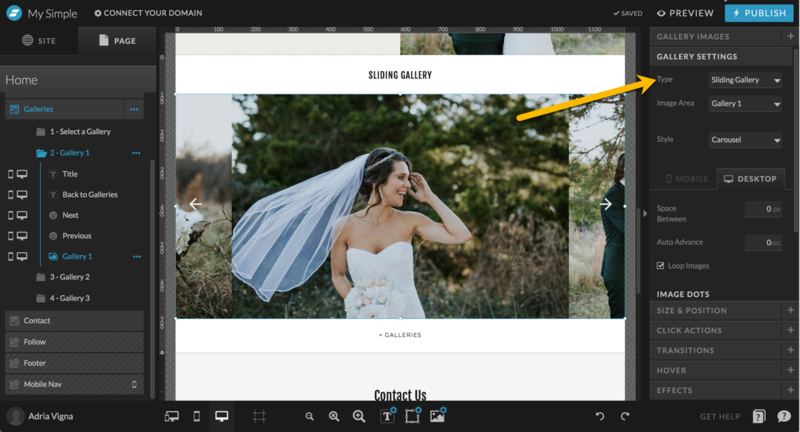 Click the drop down menu next to the gallery type option and select sliding gallery. From there, you can change the gallery settings and add in your own images!